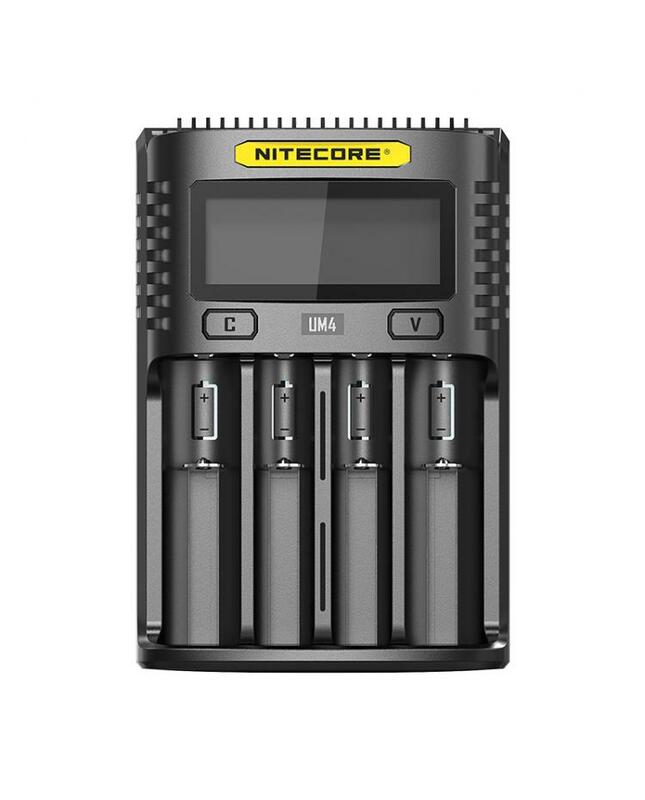 The Nitecore UM4 Battery Charger With 4 Slots, with optimized IMR battery charging program, which is able to monitor the entire charging process, ensuring that the cut-off voltage is always within safe limits to extend the lifespan of the batteries. compatible with Li-ion and NI-MH/NI-CD batteries with automatic detection. the intelligent charger with automatic detection of the battery power level and automatic selection of the appropriate voltage and charging mode from CC, CV, and -DV/DT. there is one large LCD display screen, it will show real-time charging information clearly. the UM4 charger compatible with the various mobile power source, solar panel, and USB adaptors to ensure endless power supply, multiple functions to ensure the charging safe and reliable.